India is still a developing country and most patients are quite poor. Infertile patients find it very hard to afford test tube baby treatment , because insurance doesn't cover for it, and they need to pay for it out of their pocket. And since they're never really sure whether the IVF cycle is going to work or not , so mentally they have to be prepared for making maybe two, three, or more attempts, until they finally get a baby. This is why they worry a lot about the cost – can they afford it ? The trouble is that a lot of IVF clinics aren't very up-front, transparent, or open about this important issue, because they want to lure the patient for IVF treatment to their clinic. 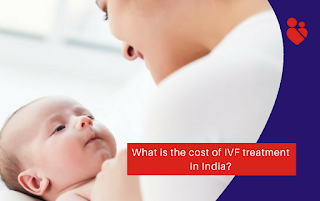 They will quote a low cost and get the patient to pay this as an advance, so they can start the IVF treatment. They then keep on adding more and more to this as the cycle progresses, saying this test costs extra, or that additional treatment costs more, but you need to do this if you want to improve your chances of success. The poor patient is vulnerable and feels trapped. He doesn't know what to do, and is forced to listen to whatever the doctor tells him, because he wants to do whatever he can to maximize his chance of getting pregnant. And this is why patients get taken for a ride by unscrupulous doctors. This is why financial transparency is so important for test tube baby patients. You should ask for these details upfront, before starting a cycle, so there are no surprises ! And please be wary of doctors who want you sign up and pay an advance at the first consultation itself. IVF is planned treatment, and you can take your own time deciding when you want to do this !